Bring the indoors out, in style and comfort, with the modern way to camp – glamping! 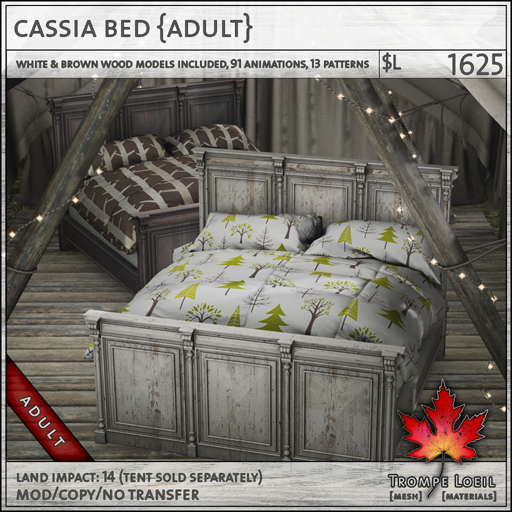 Trompe Loeil’s new Cassia Glamping Set for Uber June has everything you need to make your next bedroom set the perfect accent amid natural beauty. Grab your favorites individually, or get the set at a discount! 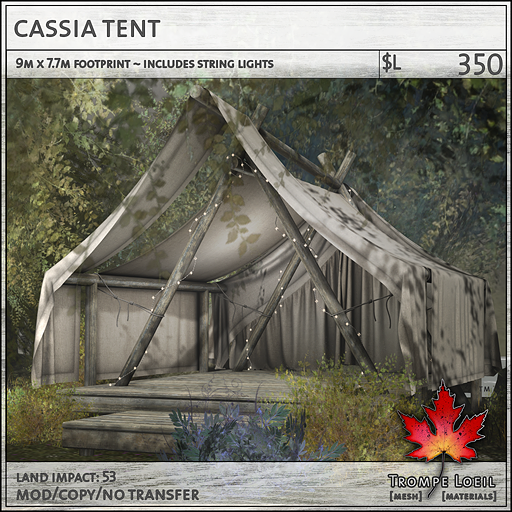 You can’t glamp without a tent, and the Cassia Tent is set up to host your favorite decor. Raised platform with deck step and elegantly draped fabric roof and walls, accented with string lights. The Cassia Bed includes both white and brown wood finishes, realistic bedding, and 13 outdoor-themed patterns – a gorgeous centerpiece for your outdoor bedroom! Available in PG and Adult maturities. 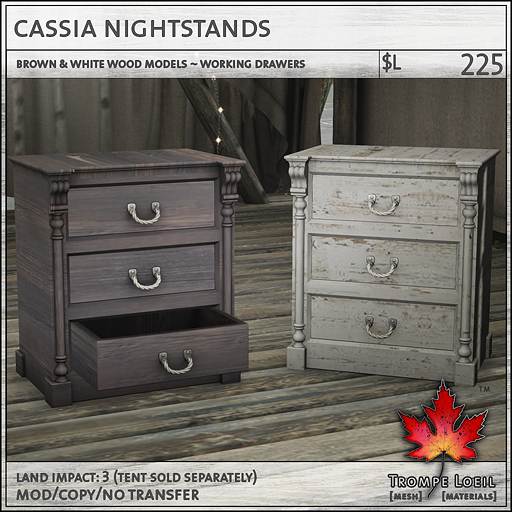 The matching Cassia Nightstands also include both white and brown wood finishes, and feature working drawers that open and shut on a click. 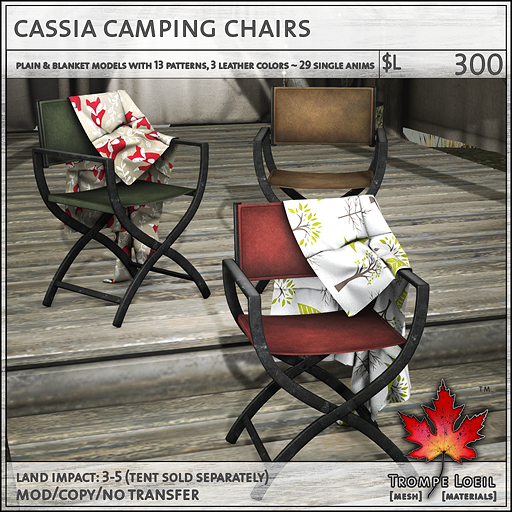 The Cassia Camping Chairs feature worn leather in three colors – brown, red, and green – and both plain and blanket models, with 13 blanket patterns. 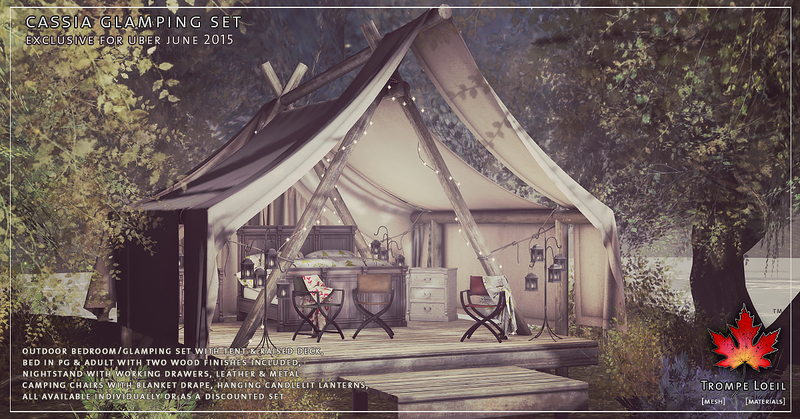 Single seated with PG animations. 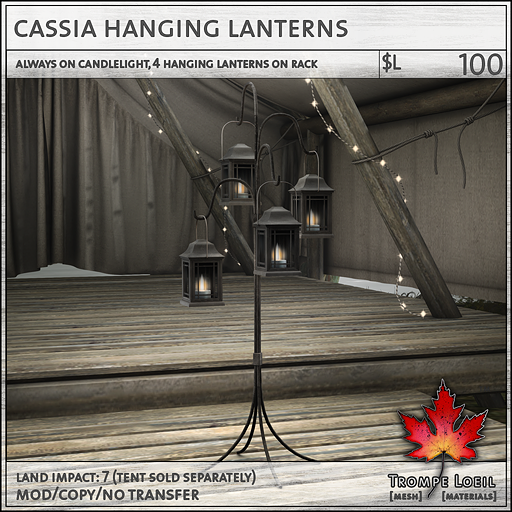 Finally, cast a warm glow with the Cassia Hanging Lanterns, four always-on candlelit lanterns hung from the included rack. Love it all? Save a lot! 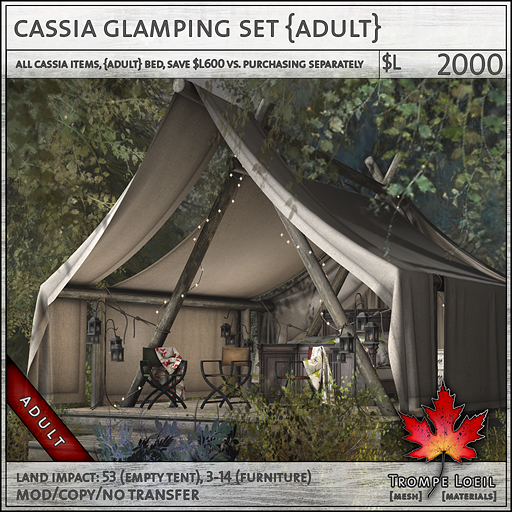 Get the entire Cassia Glamping Set in either maturity at a discount vs. purchasing separately! 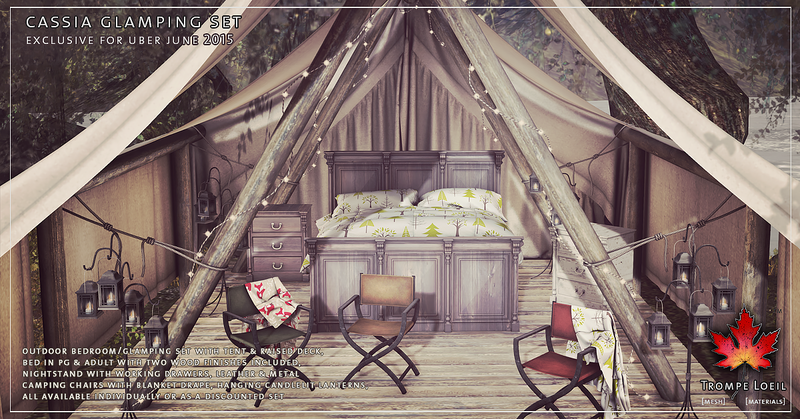 Trompe Loeil Wins 4 Avi Choice Awards – 50% Off Sale Until Wednesday!